This year, the Texas Legislature passed a law making cannabis oil available to treat seizure patients, but it could take up to another 18 months to set up the system for dispensing the marijuana product. In the meantime, potential growers and sellers are waiting for the rules to be written for what may be the first step toward a big business in Texas. Austin mother, Katie Graham, is more than willing to invite someone into her home to talk about one of the most important health issues in her family. For the past 3 ½ years she has spent sleepless nights caring for her son Elliot, who was diagnosed with intractable epilepsy at the age of two. “His seizures look like jerking clusters essentially, and he has those clusters anywhere between six to eight times a day, every day. He recently developed a new seizure type that actually just knocks him out. Afterwards, he ends up sleeping for an hour,” Graham said. In some 14 states, doctors are already treating epileptic disorders like Elliot’s with oil from a hybrid marijuana plant. The strain is especially high in cannabidiol, or CBD oil, but extremely low in the psychoactive chemical, THC. In other words, patients don’t get high from using the CBD oil. But they do get relief. CBD oil can slow down, and in some cases, completely stop a patient’s seizures. According to the Epileptic Council of Texas, there are 750,000 patients like Elliot in this state who might be candidates for the treatment. But they’ll likely have to wait to get it. 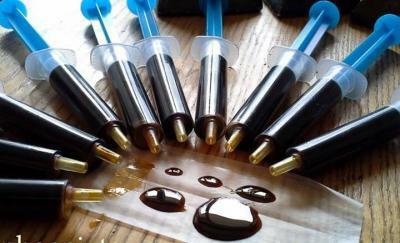 In July, the Texas Department of Public Safety released proposed rules for growing, manufacturing and dispensing cannabis oil. The state will not begin accepting applications from these businesses for another couple of months. Dante Pacazo is the Chief Executive Officer of the Med Can Foundation, a private company that provides instructional seminars on working in all aspects of the marijuana industry. And Pacazo says since Texas’ CBD oil was signed to law, his seminars are consistently full. “We help them put together a business plan, provide them with the legal documents, we help them do presentations for investors, we find them investors or they have investors in their very own circle. So we go and do the presentation for them, and we help them raise anywhere from $300,000 to upwards of $3 million per concept,” Pacazo explained. Pacazo doesn’t advocate breaking the law, but he said based on what he’s seen in other states, a majority of these now legitimate businesses in the CBD oil and medical marijuana industry started out growing their plants illegally. “There is marijuana in Texas already. When the laws changed in Colorado and the state said you now have the green light to sell, the shelves were full, so how the marijuana got there I have no idea,” Pacazo said. The rules proposed by Texas officials require criminal background checks for employees of any company involved in the process. They establish the concentration of CBD oil per each prescription and create a CBD oil registry with the names of doctors, patients, growers and dispensaries approved for participating in cannabis oil treatments. Growing operations will be subject to inspection to make sure the THC levels in their crops do not exceed 0.5 percent of the cannabis oil per plant. If they do, a grower must destroy the entire crop. Not everyone agrees that 0.5 percent is the right level of concentration. Heather Fazio is the political director with the Texas Chapter of the Marijuana Policy Project. “Our concern is that the level of THC is so low that it’s going to make it very difficult for cultivators to know exactly what strain to use and be able to do any experimentation without opening themselves up to any potential criminal liability,” Fazio stressed. Fazio says the seeds for this type of marijuana can also be difficult to obtain, and it’s still illegal to transport them across state lines. While Texas goes about setting up the complicated cannabis oil program, Katie Graham and son Elliot wait. Graham says she’s encouraged by the progress. “It will be awhile because the way the law is crafted, the plant must be grown, monitored, licensed and dispensed within our state. But we have so much hope that this could be a solution for Elliot,” Graham said. Department of Public Safety officials say they expect the program rules to be approved by the end of the year. Then the state will begin considering applications from marijuana growers and those that want to manufacture and dispense the low THC treatment. The state has until the end of 2017 to approve the companies that will be involved. 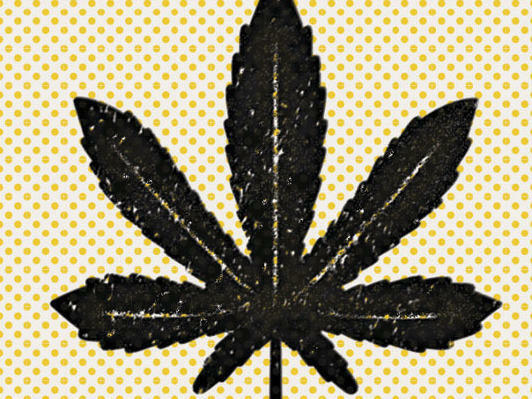 A year and a half ago, Dr. David Casarett did not take medical marijuana very seriously. "When I first started this project, I really thought of medical marijuana as a joke," he tells Fresh Air's Terry Gross.